The brutal terrorist attacks on the U.S. World Trade Center and Pentagon buildings were like thunderclaps of a gathering storm—such as there never was. What do these and other ominous rumblings of society portend? Is there any hope for the world on the other side of this trouble which will certainly climax in a furious storm? After the cold war ended with the collapse of communism, Third World Nations became armed camps of instability that pose a continual threat to world peace. The United States entered the new millennium with a record debt and a staggering world recession. Of the world's 6 billion people, 1.3 billion live in poverty on $1 a day or less, and 1.1 billion are malnourished. Hunger and starvation shape their lives. Thousands more eat canned pet food. Three million Americans live on the streets. The top ten billionaires have wealth equivalent to the rest of the world according to the U.N. Human Development Report, 1998. From 1914 to 1918, World War I shook Europe to its foundations. The 1920s witnessed the overthrow or demise in power of the centuries-old church-state ruling houses of Europe, in which kings claimed to rule by “divine right.” The Thirties offered the Great Depression; the Forties, World War II. The Fifties saw the communist takeover of more than one third of the world, while the Sixties were terrorized by race riots and the youth revolt. 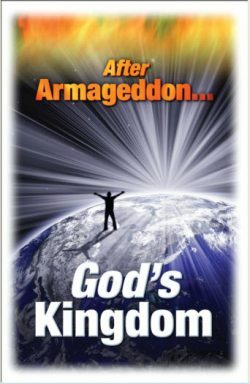 Is it any wonder so many ask, “What is this world coming to?” Some reason further, “If there is a God who cares, why does He permit all of this trouble, evil and suffering?” Not finding reliable answers to this question, many have abandoned religion. The failure of traditional churches to answer the many questions facing modern man has divided the western world into two camps-the non-religious “materialist camp” and the religious “Christian camp.” The materialist camp is composed of atheists, agnostics, humanists, and existentialists. Materialists like to think that observable facts and provable theories are the only bases of their thoughts and actions. But as William James, the noted philosopher, observed, all materialists have one thing in common with the Christian-and that is faith. An atheist cannot deny the existence of God by scientific fact and, therefore, must assume his premise by faith. The agnostic accepts the premise that there are many concepts that cannot be proven, but even his premise is unprovable. All schools of philosophy are based on faith. 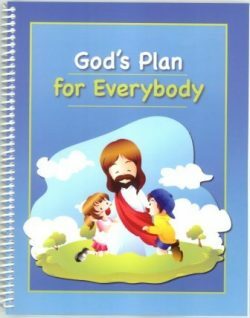 Though the Christian camp can agree that there is a God, Christians disagree on almost everything else. No doubt, this fact is one reason so many have joined the materialist camp today. Space-age man-staggered by the complexity of the universe-complains that he is “turned off” by the traditional churches when he receives religious answers that are museum pieces from the “Middle Ages.” To modern religious groups like Seventh Day Adventists, Jehovah’s Witnesses, Mormons, etc., the materialist cries, “Your God is too small!” as they seem to imply that only their group will be saved. Thank God, His love is broad enough to include everyone-Catholic and Protestant, the modern religionist as well as the materialist. Lacking an explanation and solution to man’s dilemma, the materialist taunts the Christian camp to come up with answers. Unfortunately, most Christians are unable to meet the challenge. However, there have been notable exceptions. 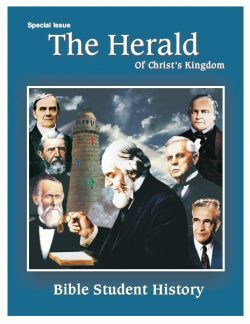 Since the late 1800s diligent students of Bible prophecy warned that the Twentieth Century would be devastated by political, social, economic and religious upheavals. This unprecedented trouble would destroy what the Bible refers to the “present evil world” or social order. Galatians 1:4. 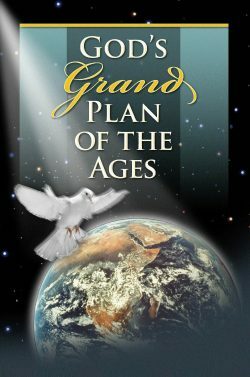 “The terrific war outbreak in Europe has fulfilled an extraordinary prophecy. 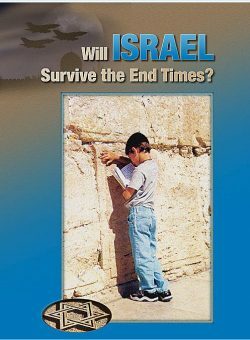 For 25 years Bible Students have been proclaiming to the world that the Day of Wrath prophesied in the Bible would dawn in 1914. Historians mark 1914 as the ending of a world. The convulsions since are both the processes of its disintegration and the birth pangs of a new world. Britannica editors, as noted, observed that a religious group (actually known as Bible Students) predicted 1914 would mark the ending of a world in just this manner. Thus, whatever this world is coming to, assurance and even comfort lie in knowing that the Word of God predicted today’s phenomenal happenings beforehand.